Foresight Marketing and Communications Pty Ltd ACN 102 896 677 is a wholly owned Australian company. Established in 2002 by John Clay and Cathy Beer, Foresight Marketing and Communications draws upon our extensive experience in the professional service, utilities and not for profit industries to deliver results for our clients. We are passionate about helping organisations develop effective partnerships and achieve their goals. John started his professional marketing career 23 years ago at British Telecom in London. 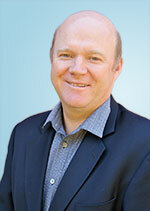 John moved down under for the sunshine in 1991 and joined Telstra, previously known as OTC. John established himself as an effective leader of marketing and product management teams with a proven track record in business to business marketing and business development in the telecommunications/IT industry. His past roles include Marketing Director, Telstra UK and General Manager of Telstra’s Olympic business marketing team. John remained in the telecommunications /IT industry until 2005 when he moved into the professional services industry, firstly with URS and then in 2009 joined global engineering firm, Arup as the the Head of Marketing and Communications, Arup Australasia, a member of the Regional Board and global skills leader. In 2018 John took up a Sessional Academic role within the UTS Business School and provides advisory services to professional services clients. In 2010, Cathy completed the Sydney Leadership Program (the Benevolent Society). The course explored the dynamics and challenges of exercising leadership. The participants came from a diverse range of organisations including corporates, government and not for profit. In December 2013, Cathy created and launched a new website, Pets4Life, a community resource for pet owners and those who are thinking of adding a cat or dog to the family. The goal of Pets4Life is to reduce animal surrender and euthanasia in Australia. 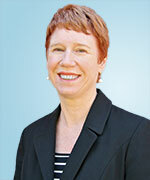 Cathy continues to manage the digital content marketing function for Pets4Life. Cathy is passionate about community engagement to create positive social outcomes and animal welfare. She is a voluntary member of these committees: Community member of the Willoughby Council Companion Animals Committee and an Animal Welfare member of the University of Western Sydney’s Animal Ethics Committee.